Another 1,000 Clubcard points code for Tesco Wine! Via moneysavingexpert.com, who clearly have a lot of negotiating power with Tesco Wine, another exclusive ‘bonus points’ code has been launched. 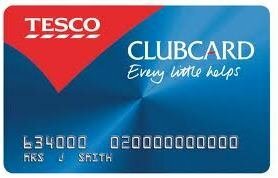 As with the January deal, you will receive 1,000 Clubcard points when you spend £60 at Tesco Wine. It is valid for new and existing customer and even works on sale cases! The bonus code for the website is XXHGJK which expires on Sunday 15th (last date to order). The Tesco Wine website is here.